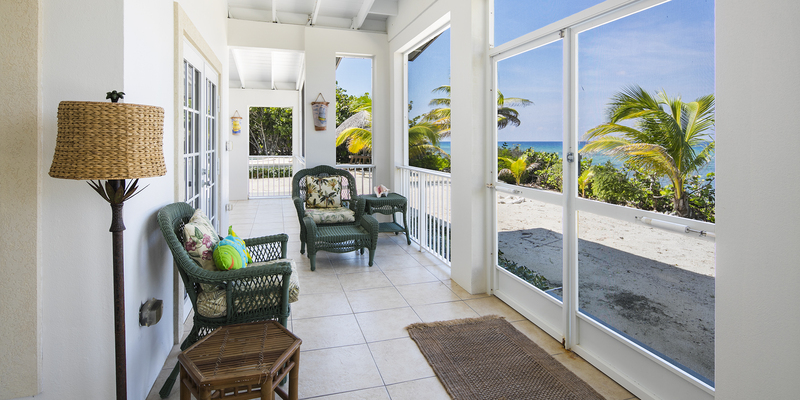 Conch'ed Out is a sparkling oceanfront cottage in Old Man Bay along the north coast. 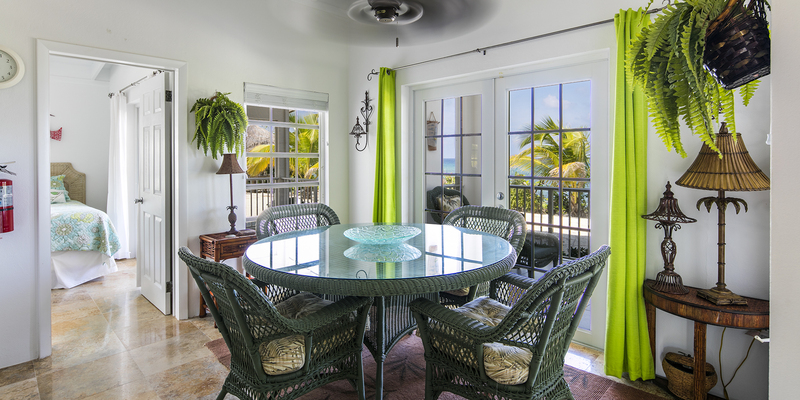 This Caribbean-style 2 bedroom private villa offers excellent snorkeling steps off the oceanfront pool. 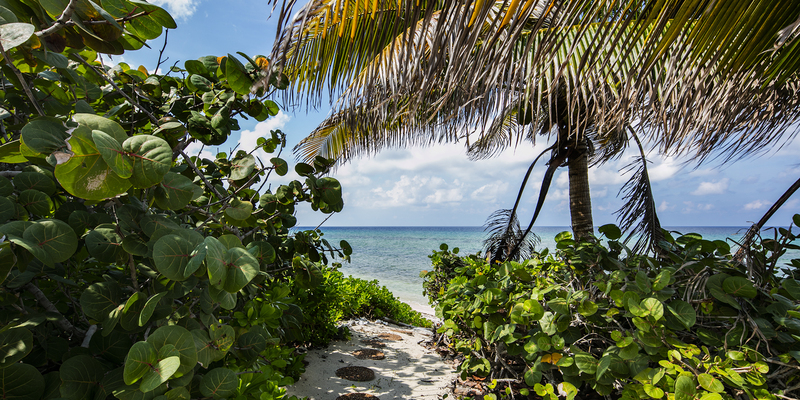 A sandy private backyard trails down to a pebbly beach. Five pairs of french doors and screened porches, on both the front and rear of the home, provide great cross-ventilation in the winter when air conditioning is seldom necessary. Air conditioning units cool the bedrooms and baths only. You can leave the house open from both the front and rear screen porches, with ceiling fans running as well, to comfortably cool the home. Conch'ed Out sits on an oversized 1 acre lot measuring over 400 feet deep with a gated driveway, garage, and heavy landscaping out front. Both master queen and twin suite open onto the screened porch. Sizable oceanfront pool and pool deck for swimming, tanning, and relaxing. Lounge chairs and charcoal grill on pool deck. Excellent snorkeling just steps from the back door! We advise you wear pool shoes or fins when you go exploring. 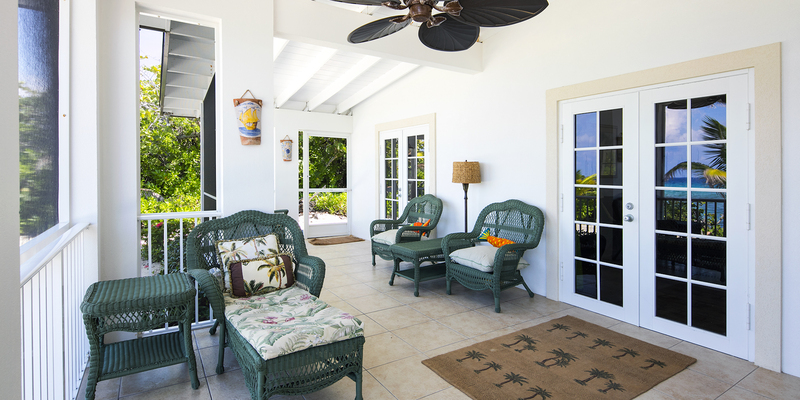 Full-width screened porch, adjacent to both the beach and the pool. Living area has comfortable sofas and a large flat screen TV. Modern kitchen with bar seating for morning coffee or evening drinks. Dining table for four immediately adjacent to the screened porch. 2 kayaks in the garage just off the pool deck. Accommodates up to 4 guests (4 adults max). Excellent small family or 2-couple villa. Infants under 2 years old sleeping in cribs do not count towards occupancy. The garage, picutred above, sits to the right of the pool deck and is not a separate residence. With a central location on the island, the homes in Old Man Bay offer perhaps the best shore diving and snorkeling on the entire island. The beaches are mostly sand, but can also be pebbly with natural rock formations too. Either way, with the varied marine life in the water, you will want to wear foot protection (pool shoes or fins). 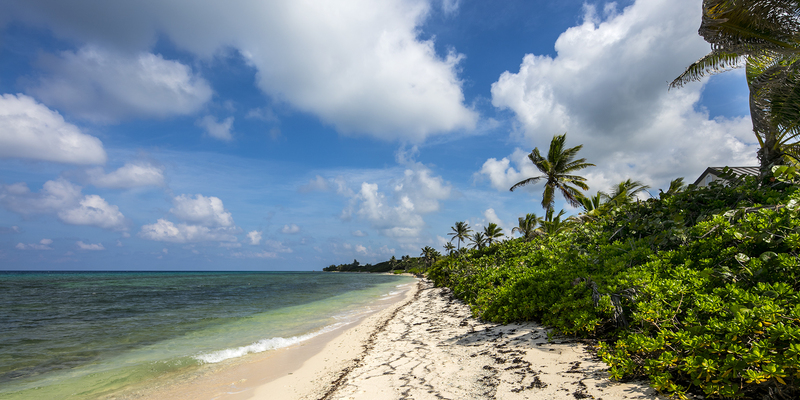 The beaches here offer great seashell collecting and turtle sightings in summer! Old Man Bay is only 5 minutes from two large resorts in the East End (Morritt's and The Reef) that offer manicured beaches as well as restaurants, a grocery store, liquor store, gift shops, a Subway sandwich shop, and a coffee/pastry cafe. These two resorts also offer scuba, snorkel trips, jet ski rentals, wind surfing, kiteboarding, ocean front pools and bar service. You are also only 5-10 minutes from the best SCUBA diving operations and dive sites on the entire island--Ocean Frontiers and Tortuga Divers. About 15 minutes to the west of Old Man Bay is the famous Rum Point Club with water sports, a restaurant and bar, gift shop, and a barefoot beach with table service. This was out second visit to Conch’ed Out and we’ve already booked our third for next year. This location is perfect if you want to get away from the crowds yet still be close to several really nice dining and shopping options. The villa sits well back from the road on a large, private lot overlooking the ocean. 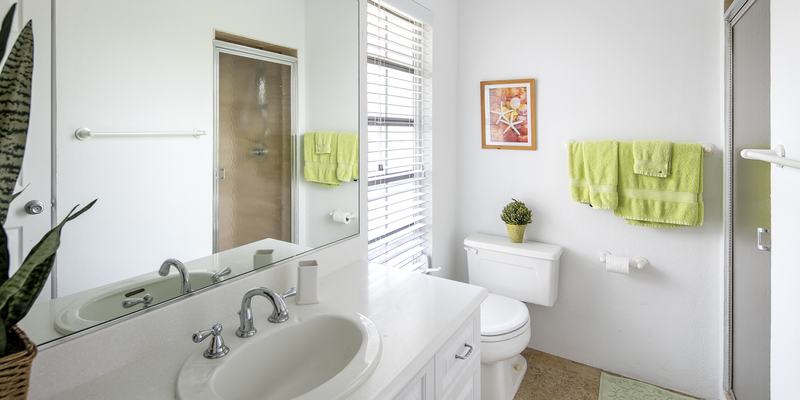 The size is perfect for 2-4 people and you just can’t say enough about the cleanliness and privacy of this property. All of the kitchen and home amenities are there for you and the pool is the perfect final touch. We found ourselves spending most of our time either poolside or on the expansive screened in porch enjoying the view and sounds of the ocean. 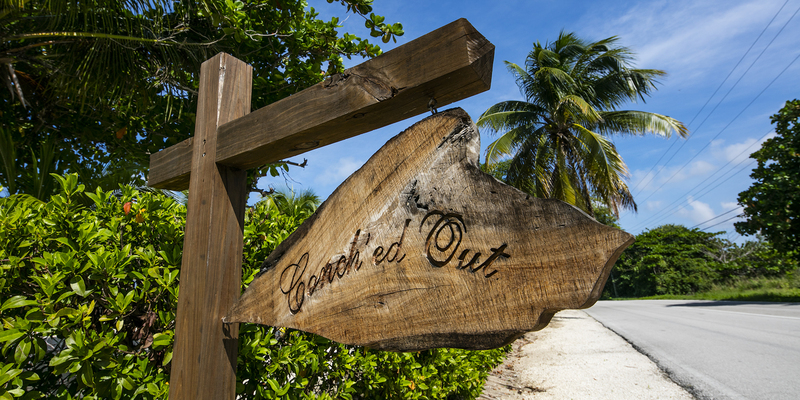 If you’re looking for a relaxing vacation in a beautiful, tranquil setting you can’t go wrong with Conch’ed Out. Conch’ed Out is prefect for 2 couples. Enjoyed the pool, walking the beach. Great restaurants close by, 2 of our favorites Tukka, and The Italian Kitchen. This was our first time on Grand Cayman. We were very pleased with this villa. It was clean, well laid out and very comfortable. We enjoyed the quiet location and both screened in porches. The pool and the grounds were immaculate. The large amount of Sargassum seaweed in the water and along the beach made swimming or walking impossible as was true on much of this side of the island while we were there. Our week at this villa was the most relaxing and peaceful of those we have spent on other Caribbean islands. 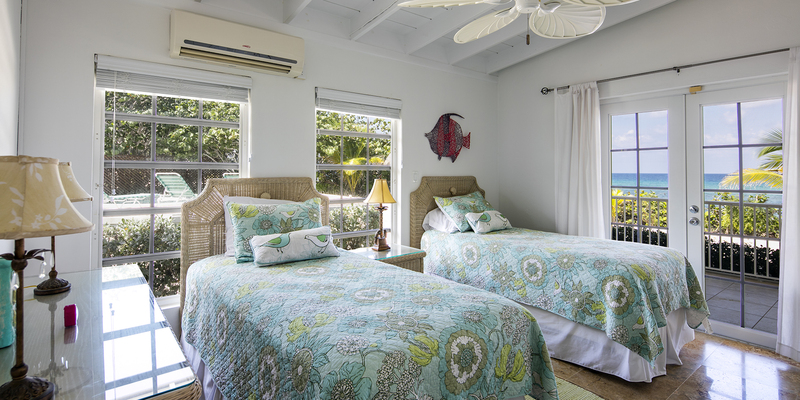 Best of all, we were very pleased with the safety, cleanliness and accommodating nature of the Cayman people. This was great a location and view of the ocean. We were not to far from anything on the island and we still had our privacy. Everybody we met was friendly and helpful if we had a question. The villa was just the right size for us and we will be planning another trip sometime in the near future. This home has all amenities needed, starting with the pool! There are floaties in the garage you can laze about all day. Great snorkelling right out front. Wear water booties to get in! The home itself is very clean and very comfy. We wallowed away time in the screened in porches front and back. Folks helping us during booking and through our stay were amazing. Make sure to check-in when you arrive! There\'s an array of items to borrow which enhance your stay. We snagged a water resistant speaker for the pool and would have grabbed a cooler too if we\'d been more on the ball. 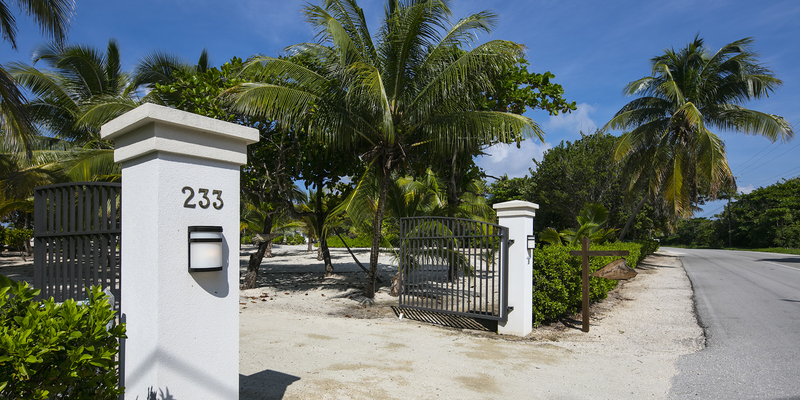 Home is a great location - beach out front; Rum Point a moment away; groceries just up the road; and the iguana sanctuary practically in your back yard. We plan on staying here again. Loved this place! Third trip to Grand Cayman and wish we\'d discovered this home earlier!!! My husband and I stayed at Conched Out late August, early September. The house was perfect for us. It feels like you have your own little resort all to yourself. We appreciated having the pool. Yes, some have mentioned that it is small but to us, it was just fine. The late afternoon and evenings were fairly warm and the pool was very much appreciated. There is a short path to the ocean from the backyard to a narrow patch of sand beach that you can enjoy, as well as, an abundance of sea shell treasures. We took a hike from here in both directions navigating through rocks and sea shells. Very enjoyable hike using caution due to all the shells and rocks makes this a pretty nice bit of exercise. We spent most of our daytime hours scuba diving and other excursions such as visiting Rum Point, Starfish Alley, Stingray City, The Turtle Center, as well as, the Botanical Garden which, by the way, is a definite must do if you are a nature lover and/or botanical enthusiast. All the basic essentials Soaps, TP, good linens and towels etc. The property management company was very good to work with as well. A light bulb needed replacing and the Coffee Maker carafe was cracked when we arrived. We used it a couple of times as it wasn\'t leaking, but later contacted the Property Management and they immediately brought us an entirely new Mr Coffee Maker and replaced the light bulb. This was appreciated as well. We love beach life and if ever we return to Grand Cayman, Conched Out may very will be our home away from home once again. I highly recommend staying here if you want privacy, ocean access and the comforts of home. This villa was perfect for us--away from the crowds, the shopping, and the commercialism. 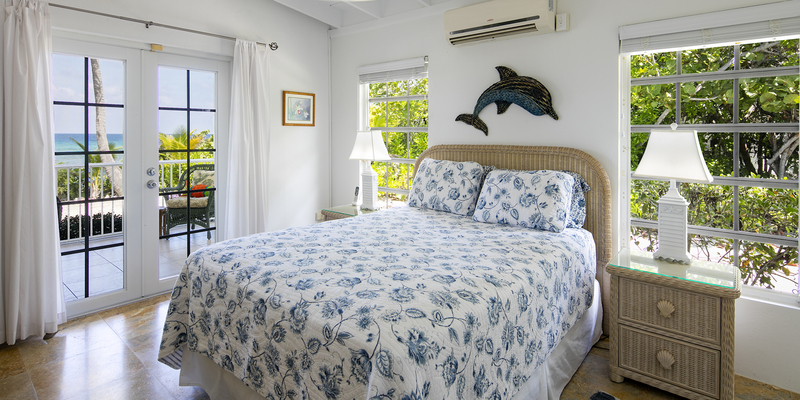 We spent our time at the botanical gardens, at Starfish Point and the surrounding areas, on drives around the island, and enjoying quiet mornings and evenings in this lovely cottage watching the changing skies and hearing the birds and the water. The pool is small but refreshing, and the resident roosters and hens provided us with all the entertainment we needed! Also, we highly recommend nearby Tukka restaurant--excellent cuisine with a beautiful view. Absolutely loved Conched Out. It was perfect for our group of 2 couples. Everything you needed was there. It was super clean. Loved the layout and all the doors to enjoy the lovely breezes. The views were absolutely stunning from the pool/ deck area and from the screened in porch to enjoy coffee in the morning. You can also enjoy the porch after the sun goes down without the hassle of mosquitoes. The location was quiet and private, we did not want the hustle of 7 mile beach. There were good restaurants close by, along with liquor store. Groceries were a little farther but plan ahead and stock up. The snorkeling off the beach was good also with some hidden underwater statues to find near the white pole in front of the property next door. Would definitely recommend and stay here again. We have just returned from a seven day vacation at Conched Out on the north side of Grand Cayman. We have stayed in several villas on various Carribean islands and feel Conched Out was truly at the head of the pack. The house was very spacious and well laid-out and we lived on the sprawling front porch where we would listen to the waves and watch the palm trees blow in the breezes. The pool offered us a way to cool down and was another great vantage point as we could bask in the sun and watch the sea in its graduated blues and greens. The house itself was so clean and well appointed. Other rentals have been sparse in their basics, whereas Conched out had everything we needed....tons of glassware, pots and pans, towels, linens, floaties for the pool, flashlights, candles, you name it, Conched out had it. The location was peaceful and safe and we walked or ran each morning out our door as the sun was rising and always felt so safe. 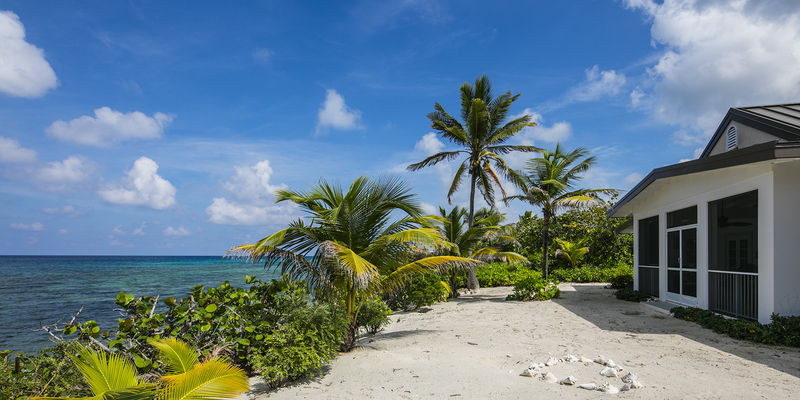 Restaurants are nearby as is good snorkeling and fun beaches. This place has it all and I can\'t wait to return to this oasis by the sea. This house was everything it was described to be...and more! My husband and I don\'t really love the hotel experience, we like something a little slower, simpler and more private. This was EXACTLY that. The location was beautiful and the owners took care of so many things for us, that we even felt like we had the hotel conveniences. We spent a lot of time sitting outside, making our own dinners and eating them out in the screened porch, and scouring the beach for unique seashells to bring back for the kids. 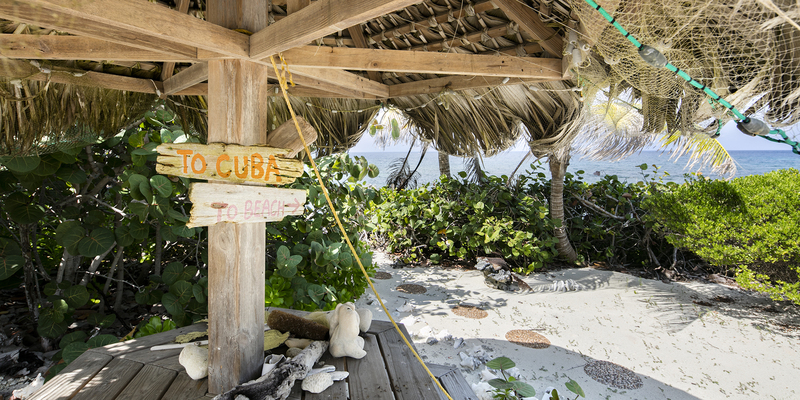 We also spent a nice amount of time at Rum Point and Kaibo, which were the perfect \"island-style\" hangouts. We went into town a few times, and we were so bored by the touristy bars and shops... you can get that anywhere! 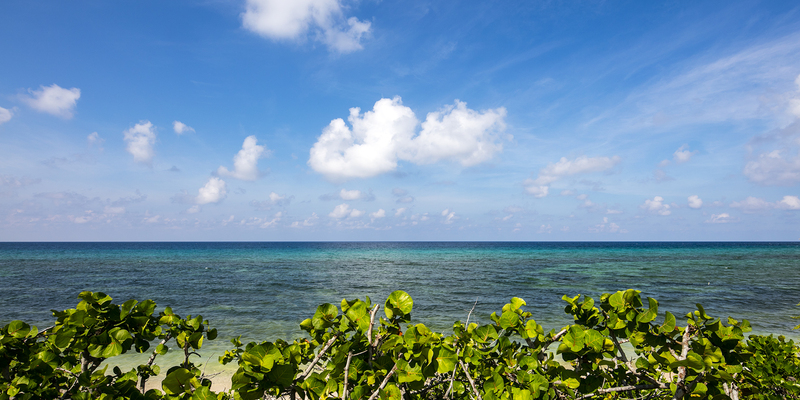 The North Side gives you the real Cayman experience. I would DEFINITELY recommend this!! 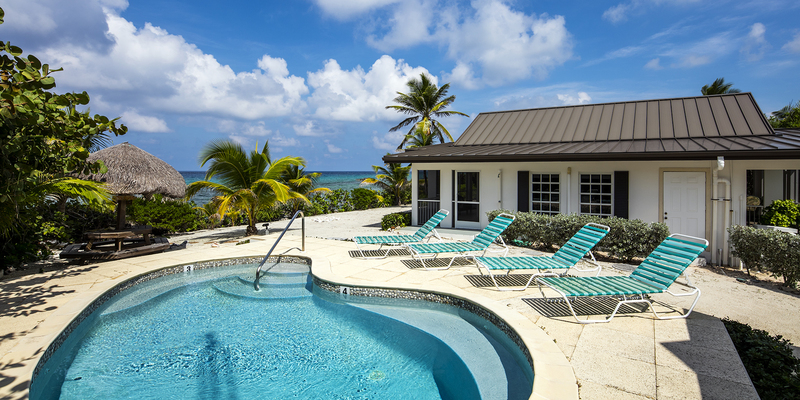 My wife and I recently spent a totally relaxing, private, week-long vacation at the Conch\'ed Out villa on Grand Cayman\'s north shore -- and it is just perfect for spending a quiet time basking in the sun and palms overlooking the Caribbean sea or spending time in your own private pool. 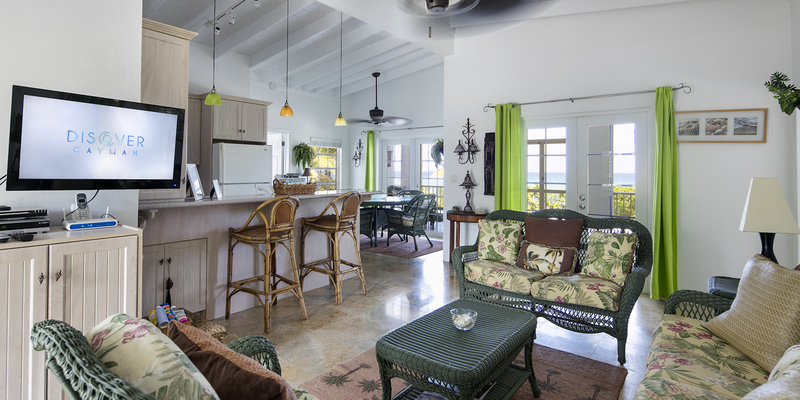 The villa accommodates 4 but is perfect for a couple wanting to spend time alone in a picturesque setting (the owners also own the adjacent villa but are gone when Conch\'ed Out is rented.) The interior is well-furnished with all the amenities you\'ll need (i.e. coffee pot, mixer, laundry, etc.) but we would have liked the living room furniture to have been a little more comfortable as it is made of wicker much like of the rest of the furniture in the villa. The grounds are well kept and beautiful and include an outdoor shower. We have stayed at other villas on Grand Cayman over the past couple years and this one is now our favorite. We are looking forward to staying here again in the future. From the moment we drove up, the stress of our jobs and craziness of life began to melt away. The sound of the ocean rolling in and the access to our pool were just added bonus. It was a great experience for all four of us. Thank you conch\'ed out for a great family retreat! House and property are terrific and as advertised..Very clean, and nicely decorated. Porches were awesome as were the views of the ocean. The property is definitely very private and the pool is nice but a bit small. Loved the fact that you could enter/exit the property from so many locations including the bedrooms, living room and kitchen. The beach is very rocky and no place to lay out that was on the property. You have to walk down a few beaches to get some sand which is still very rocky so the beach photo is not how the beach was as of our visit. If you\'re looking for sandy location this is not the place to rent however if you are looking for incredible snorkeling this place has that for sure. Wasn\'t a major issue as we drove to Rum Point and Star Fish Beach a few days for the tranquil water and white sand...Will definitely come back. Overall one of the best vacations we\'ve had. 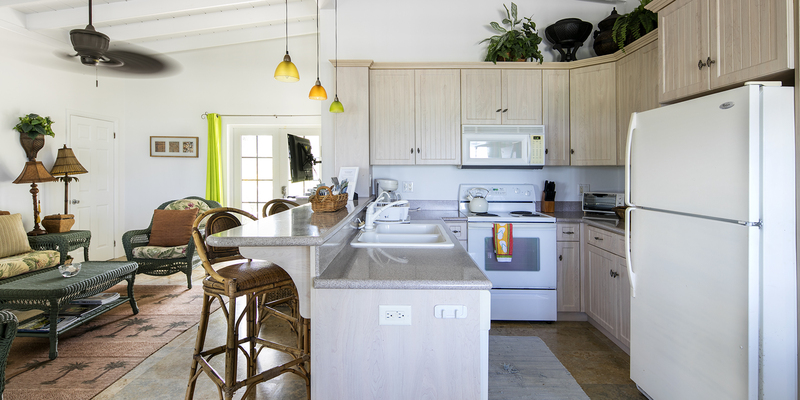 We stayed at Conch\'d Out for 2 weeks and absolutely loved this property. We were a couple and a friend and the layout was perfect. 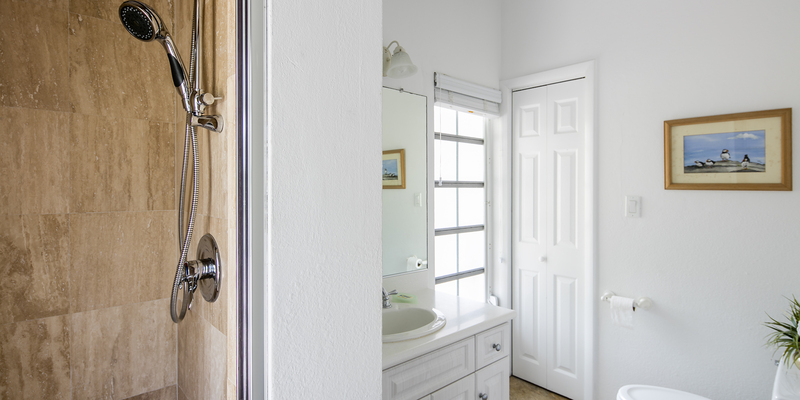 There are two bedrooms with ensuite baths located at opposite ends of the house, allowing for privacy. It was a very comfortable house with all the amenities one could want. 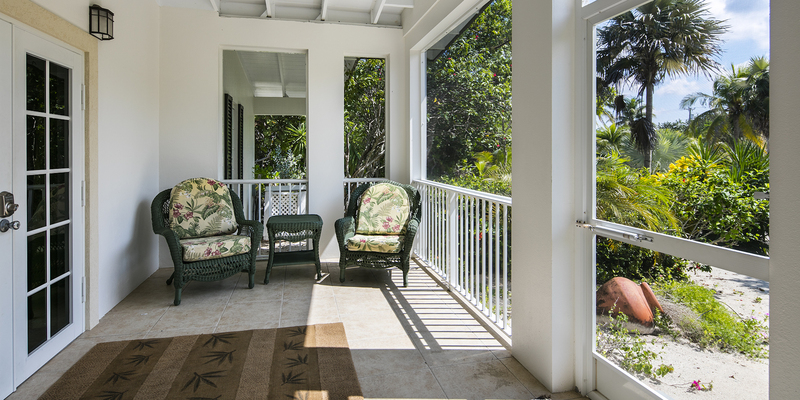 We especially enjoyed the screened in porch at the back of the house overlooking the ocean. We spent many evenings there enjoying a cocktail or glass of wine while listening to the wind and the waves and contemplating life. The property is located on the north side away from the very touristy areas, which we loved. The island is small so nothing is really too far to travel to as far as sightseeing goes. That said, you do need a car if you\'re going to stay here. There are plenty of restaurants close enough to drive to and we sampled most of them. We even went a bit further afield to try Blue by Eric Ripert. We loved it (we\'re big seafood eaters) and thought the service was outstanding. It\'s not at all a snooty atmosphere. Well worth the drive! Kaibo at Rum Point was also a very nice night out and closer. There is a small pool which was plenty big enough for the three of us. Most mornings started with an hour long walk and ended with a nice swim to cool off before breakfast. Not a bad way to start the day. If you want the long sandy beaches Seven Mile Beach is not too far away. Rum Point is closer and the lunches and drinks here were great. We had a water heater issue after the first few days but the house manager was very responsive and had someone out there within the hour. The repairman wasn\'t sure he had the parts to fix the water heater that night but he promised he\'d be back first thing in the morning. Sure enough it was ready to go by the time we got up and we all had hot showers that morning. We would not hesitate at all to recommend this house and are looking forward very much to returning one day. What We Hoped For and Much More! We found this property exceeded our expectations. It was very clean, well stocked with everything you might need, comfortable, and to have the pool and ocean right outside the door is my idea of paradise. We also found several nice restaurants in the area and spent a day at Rum Point where we took a boat ride out to swim with the stingrays! For anyone looking for a relaxing beach vacation.......look no further. A very good value for the money! The description of this villa was perfect ! Immaculate and well stocked with every conceivable \" need\" thought of in advance . I almost don\'t want to say how truly perfect it was, because I plan on coming every year , and I don\'t want it booked solid !!! Perfect for a fun girls trip , I can also see a family , or honeymooners loving it ! Private, quiet , peaceful , we listened to the ocean , had lunch poolside , and coffee on the porch every morning . The weather was warm , but gorgeous ,and honestly kept our bathing suits on all day until we went to dinner at night . A huge plus, we were able to do laundry , so we could pack light !! Right on the counter when we arrived was a huge stack of pamphlets with things to do , restaurants , codes for wifi .. Everything ! The front door had a numbered keyless entry , so when we went galavanting across the island , no worries of remembering the key ! We go on a girls trip every year , only one of us had been to the Caymans before, so what a wonderful surprise for the rest of us !!! It was home away from home , easy to stay at and for the four of us , we will now make this our annual girls trip ! The photos are accurate , add the sound of the ocean , gorgeous sunshine , and happy people .. You\'ve got the whole picture ! I miss it , as I write this .. Can\'t wait to get back !!!!! We loved the privacy and the quiet. Most of our time was spent on the porch or in the pool! A lovely cottage - recommend it highly! The house was quaint and well stocked. Even a blender for pina coladas in the afternoon! The privacy was perfect for a long weekend and the pool, while small, is just right for a couple people. The snorkeling out front was amazing...look for the underwater statues of shark, mermaid and eel! We loved our stay and will be back! The villa was very nice for the money. The bed was confortable but the wicker furniture, which was fine for the rest of the house, was not so comfortable in the living/TV room. I was disappointed that the back yard and pool area which appears very private on the villa pictures and Google earth really isn't since another house (appears new) is right next to the pool without sufficient vegetation or fence to provide privacy. Lukily for us noone appeared to be staying at that house during our stay. Tghe managementg company was a mixed bag: the pre-trip service and instructions was great. Once we got on the island service was not very good. The house itself had no instructions upon arrival so we had to dig for the wireless password. The big frustration came when I had a question on Friday at 2:30p and the "villa manager" who was my only direct contact could not be reached at the only phone number they gave me (disconnected or something). After finding the main office number online and leaving several messages I finally reached someone who couldn't answer my question, gave me another number and even suggested I drive to my villa manager's office to track her down. I called the other number, left her a message and never heard from anyone the rest of my stay. We had a great, relaxing time despite some of these issues. I need to respond to this review-- While it compliments the house and our service as bookings manager; the reviewer comment son not being private-- but 2BR Conch'ed Out is the guesthouse for a larger home next door (THE OWNERS DON'T RENT CONCH'ED OUT IF THEY ARE ON ISLAND)--so we knew these folks would have privacy. It wasn't "luck" that they had privacy; it was scheduled that way. As far as no instructions; that just isn't true; we have a smartphone app and emailed instructions to the guests--INCLUDING a requirement that if they do not get through to the on-island manager to email and call me directly. They did not do that; and just waited until they returned to post a negative review. We cannot fix what we don't know about. There was actually nothing to fix; they just wanted to ask questions about the house that were printed in the instructions we sent them and were available on the app. This nice little 2BR home was right on the beach and was absolutely immaculate inside (unlike some other Cayman places we've stayed in). Would definitely go back and recommend this cute villa to others. 10% Guest Service Fee includes your Silver Thatch Membership.